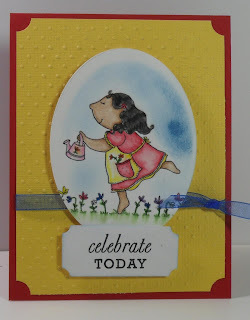 Girlia's Cards: Mary, Mary Quite Contrary! I am back today with another card. this time it is a digital image that I have prepared to enter into Designed 2 Delight Challenge. I enjoyed coloring this little lady. I just want to give a special thanks to Lucianna at Dilsaver Designs for teaching me the basics. Comments are welcome. Enjoy and GOD Bless! Thanks for stopping by. This is a really cute card. Love the colors. Gloria I love the cute image...you did a great job and thanks for sharing. I think you did a great job. I love how you have framed her and the colors are perfect! Super sweet! Great work on your coloring! Very nice, great job coloring her! Cute! Love cuttleBUGged bg - very cheery card *Ü* Thanks for playing with us at D2D this week! 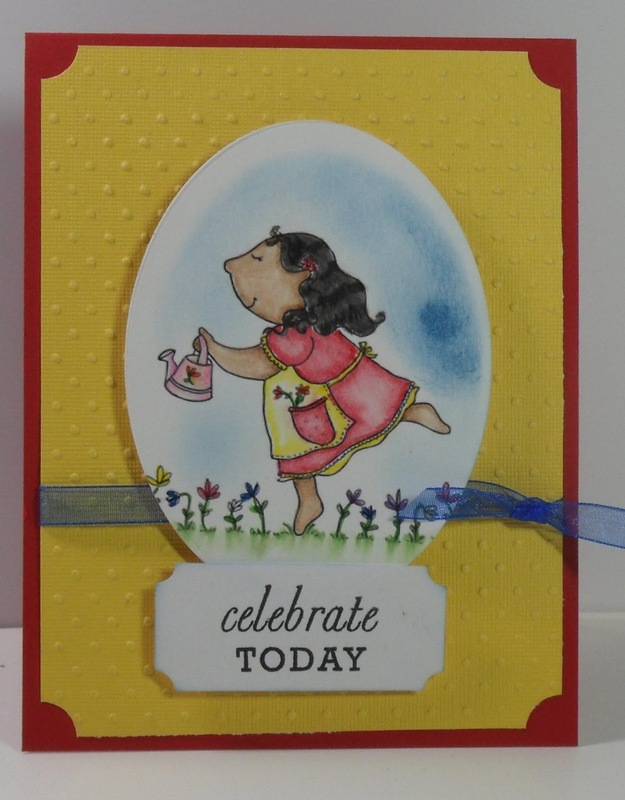 So bright and cheerful and such a pretty card you made! Thanks for joining us this week at Designed2Delight.